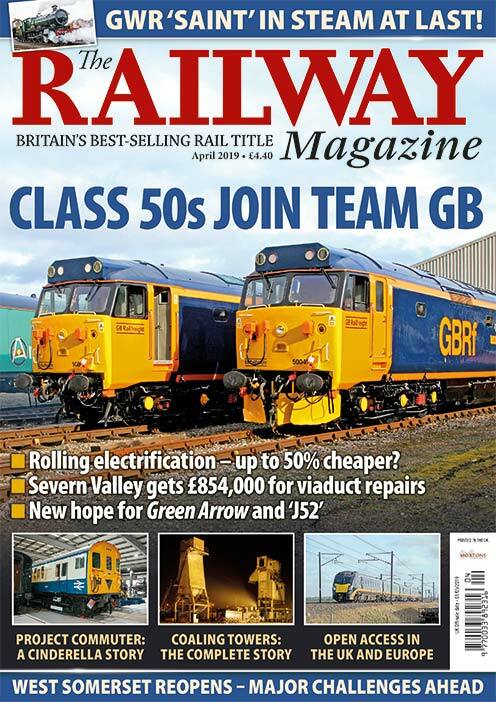 I ENJOYED reading the article about circus trains in the August issue. 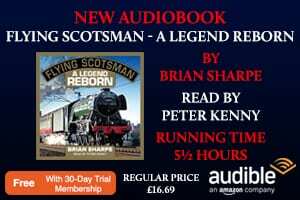 It reminded me of an unusual day when I was station master at Mexborough in 1956. 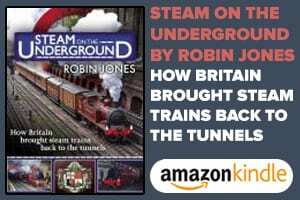 One Sunday morning I was called out by the station foreman telling me there was an elephant on the platform needing water. One of the circuses was in town and the elephant, which had arrived by train, could not be dealt with on the showground until the following morning and would have to remain at the station in the meantime. There was a tap on the platform side of the wall of my house, and having found the largest bucket available it was filled with water and ‘Jumbo’ was invited to drink. This he did and with the end of his trunk in the bucket proceeded to empty it faster than the tap could fill it. 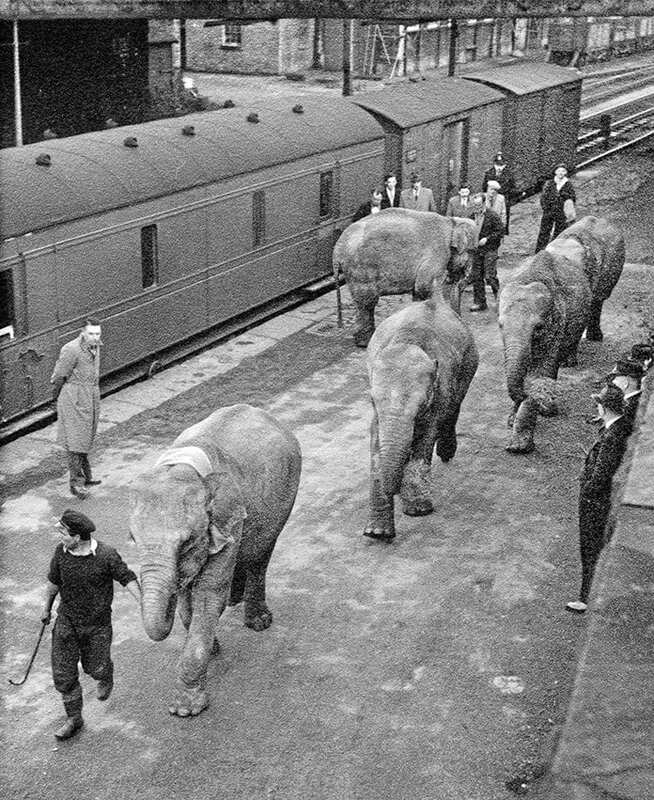 Elephants being led to the circus arena from Brighouse station. Courtesy: Steven Lord. A Liverpool to Hull express had arrived at the platform during these goings on and a man sitting in a First Class compartment was rather surprised to be confronted with the rear end of an elephant when he looked up from his newspaper! The animal and his helper had to be accommodated for the night, so his carriage, a converted GUV, was placed in the loading dock next to which was the station house garden. Jumbo was allowed out, under the supervision of his helper, during the night, as necessary. In the morning he was led away leaving behind a heap of dung – good for the roses – and two sorry looking concrete clothes posts, which had been used for scratching! All in a day’s work and BR had risen to the occasion with aplomb. Sunday was at time and three quarters, too! Read more Letters, Opinion, News and Views in the October issue of The RM – on sale now!